As many of you know, I hopped on a plane last week and flew to Jamaica. This is my second time visiting Jamaica this year (this time was for a wedding), and I have experienced tons of what this country has to offer. I have not visited EVERY place, but these are the things I have completely fallen in love with. Glistening Waters Luminous Lagoon: This is truly one of the most amazing places I have ever visited in my life. It was magical. Unfortunately, none of my photos turned out because it is DARK and you cannot use a flash. I never would have even KNOWN about this place, but the last time I was in Jamaica, our tour guide actually recommended it. It was not on our lists of possible tours and our driver was NOT happy that he had to go out there. It was a long drive from our hotel in Negril but SO worth it. Because of microscopic organisms, the water GLOWS anywhere you touch it (hence why you need to go late at night). When you swim in it, it is like your entire body is covered in glitter. MAKE SURE to wear your suit so you do NOT miss out on swimming in the water. Splash the water tons and it is AMAZING!!! 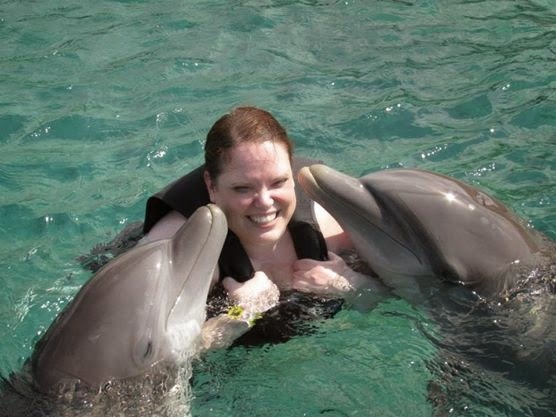 Dolphin Cove, Ocho Rios: Ok, to be really honest, I did NOT think I would have a good time at Dolphin Cove. First, it was CRAZY expensive. It was $200 for the ultimate swim. And if you spend the money, make SURE you do the ultimate swim because the other experiences were just not worth it. Second, swim with dolphins?? I know this is on a ton of people's bucket lists, but it was just not something I really WANTED to do (and I could do many more things for $200!). Last, I was a little scared. My sister REALLY wanted to go, so we did. I am SOOOOO glad that I did it. It was truly the event of a lifetime. It was just an incredible experience to be so up close and personal with dolphins. We had a blast. There was a ton to do once you were there. We went kayaking in the clear bottom kayaks, we went snorkeling, and we even tried to swim with the stingrays, but we never did see a single stingray. YS Falls: There are many waterfalls to choose from in Jamaica. I preferred YS Falls for several reasons. First, their staff is super friendly, helpful, and just wonderful. They convinced me to jump off a waterfall. I did sprain my foot, but I would do it all over again if I had the chance! We had a complete blast and always felt safe. We also loved that it was never overcrowded. There were not a lot of people there so you could really enjoy your experience instead being overcrowded by a ton of other people. 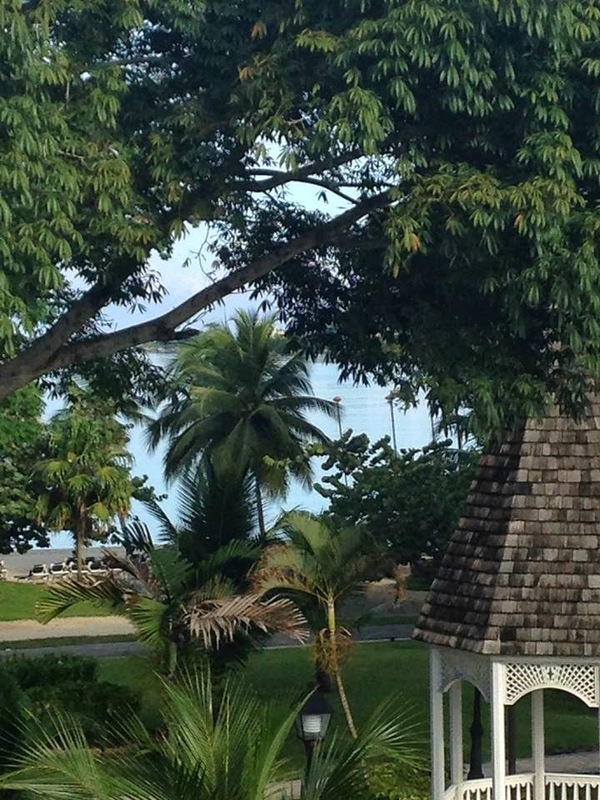 Appleton Estate Rum Tour: There are many reasons to enjoy the tour. You learn about Jamaican history, you learn about how they make rum . . . and you get to taste test rum. Really, this tour is about the end when you taste test rum. 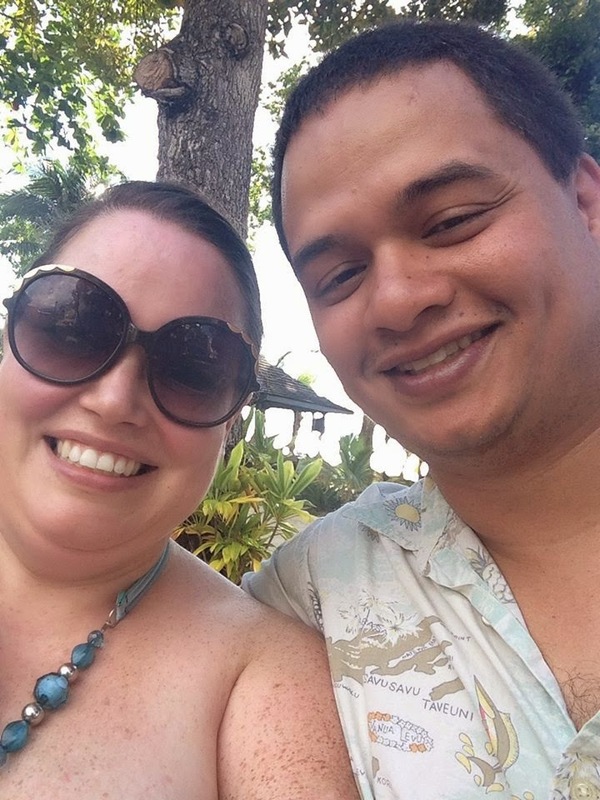 I am not a huge rum drinker, but my husband and I actually found that some of the flavored rums were DELICIOUS! I guess that is why you taste test them . . . because there is a whole store filled with rum to buy from too! You also get free sample bottles to bring home. Black River Crocodile Tour: So, your travel agent may tell you this is a great way to see crocodiles in the wild. To be honest, they all seemed pretty tame to me and like they were used to human interaction. What makes this tour worth it is the other wildlife and scenery. Ask your tour guide about the different birds (which were beautiful) and the plant life. Those were the selling points for me. There are also parts where the water is so clear that you can see down to the bottom and can see many of the fish that also share the river with the crocodiles. At the end of the tour, make sure you get your picture taken holding a real, live crocodile (it is a baby one with its mouth clamped shut-- but still a great photo opp)!